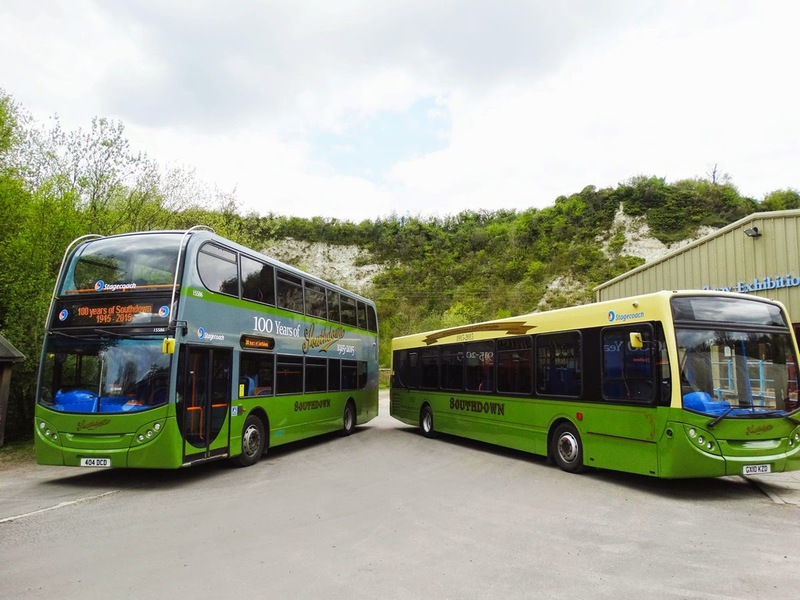 To celebrate 100 years of public transport across Sussex & South East Hampshire, Stagecoach South have launched two special bus liveries, based on the colours of the famous bus & coach company 'Southdown Motor Services'. 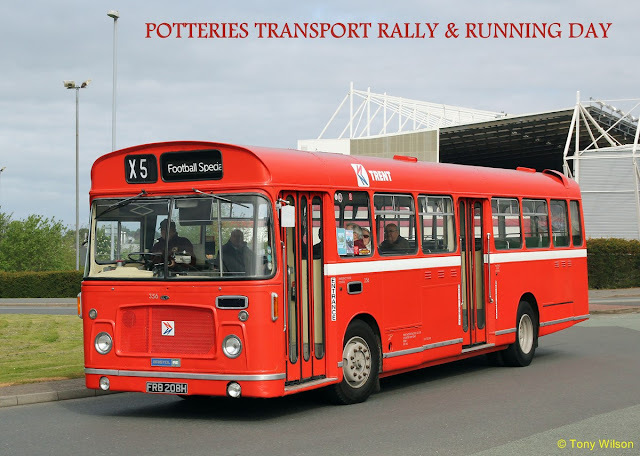 As part of the centenary celebrations, a special bus rally will take place on Sunday 7th June on Southsea Common with approximately 120 modern and vintage buses on display, plus free bus rides across the local area. 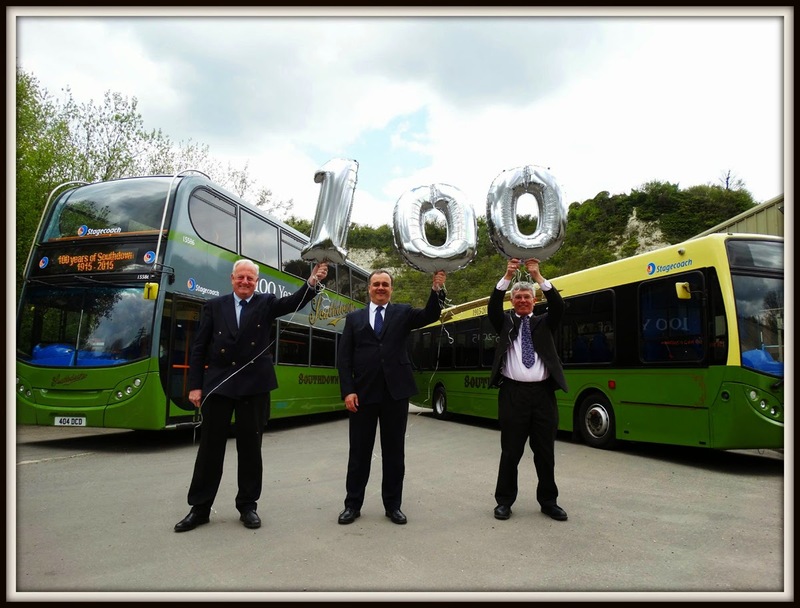 The two buses were unveiled by Stagecoach South's Commercial Director, Mark Turner and Engineering Director, Richard Alexander, pictured above with Bob Jackson, Operations Manager.